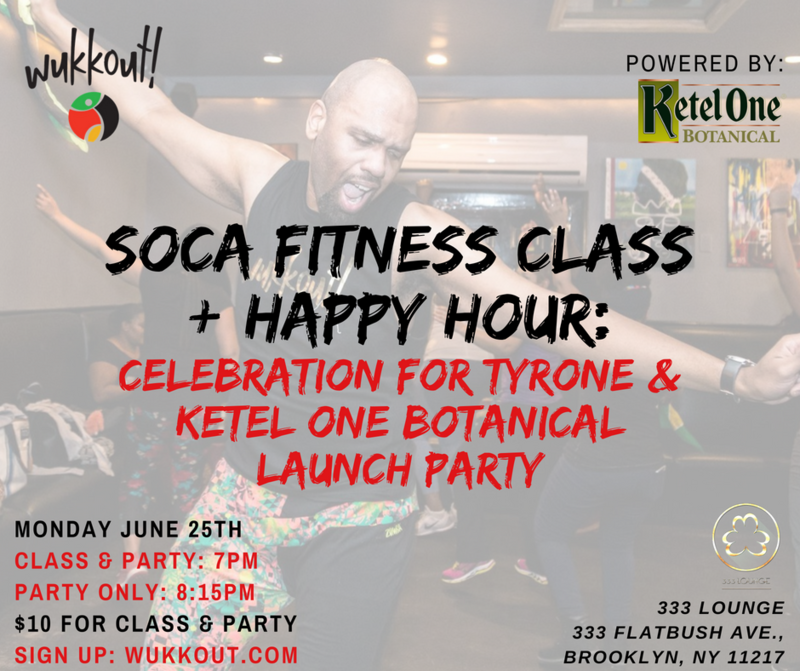 Join us on Monday June 25th for a special edition of our Wukkout!® Soca Fitness Class & Happy Hour at 333 Lounge in Brooklyn. It's a party and you're invited! Join us as we congratulate Wukkout!® Instructor Tyrone, on receiving his PhD from NYU AND on getting a new job that will (unfortunately for us) be taking him to Boston this summer. Joining in on the celebration will be Ketel One Botanical as they officially launch their new line of infused vodkas that night after class. Come for class and stay for the party, or simply join us for the party - whatever works for you! All details below. Unable to make it on the 25th but would still like to attend one of our other happy hour classes? Click here to see the other dates and sign up now. Tell a friend to tell a friend and see you in class!